Three of the top five players in the world contested the quarterfinals of the Davis Cup, including dominating performances by the world numbers one and three who carried their countries into the final four. This week was all about national pride as the quarterfinals of the Davis Cup took place, including the return of one of the tour’s biggest names. While most of the tour rested to prepare for the clay court season, a place in the final four of the top team tournament was up for grabs for the world’s powers. 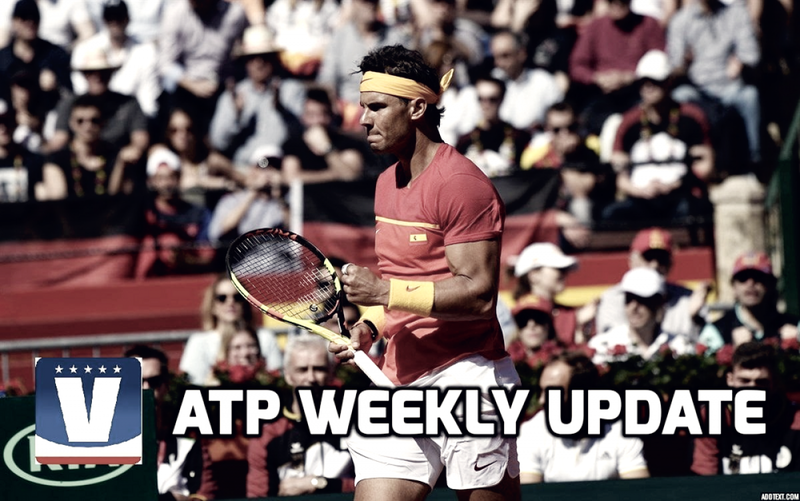 Here is your ATP Weekly Update for week 14 of the 2018 season. 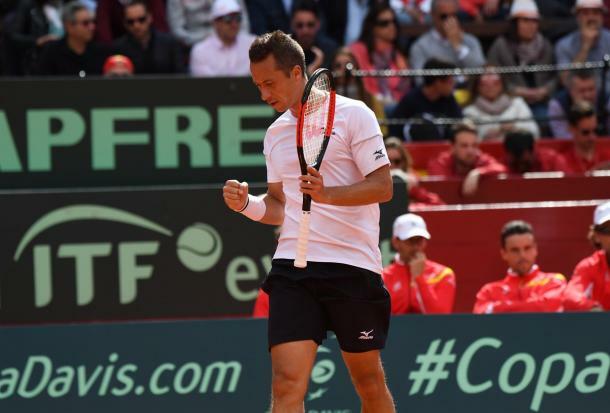 Eight countries spent the weekend doing battle for a spot in the semifinals of the Davis Cup. All eyes were on world number one Rafael Nadal, who was returning after a two-month injury layoff as Spain hosted Germany. Back on his beloved clay, the world number one showed no signs of rust, winning all six of his sets, including a tie-saving straight-sets win in the fourth rubber over world number four Alexander Zverev, to set up David Ferrer’s fifth set heroics in the final rubber as Spain advanced 3-2. The five-time Davis Cup champions will have their hands full in the semifinals, as they will be taking on the defending champions on the road as they will visit France, who brushed aside Italy 3-1. Despite playing on the road in the quarters, France was able to advance to their third straight Davis Cup semifinal courtesy of a pair of singles wins by Lucas Pouille as well as a doubles victory by Pierre-Hugues Herbert and Nicolas Mahut. While France is on a semifinal streak, the United States broke their drought to reach their first semifinal since 2012 by sweeping aside last year’s runners-up Belgium. Led by recent Miami champion John Isner, the Americans took full advantage of a David Goffin-less Belgian side, wrapping up the tie on Saturday by taking an insurmountable 3-0 lead after sweeping the day one singles before Jack Sock and Ryan Harrison sealed the deal in the doubles. The USA would go on to win by a total score of 4-0. In the semis, the United States will travel to Croatia to meet the 2016 runners-up. 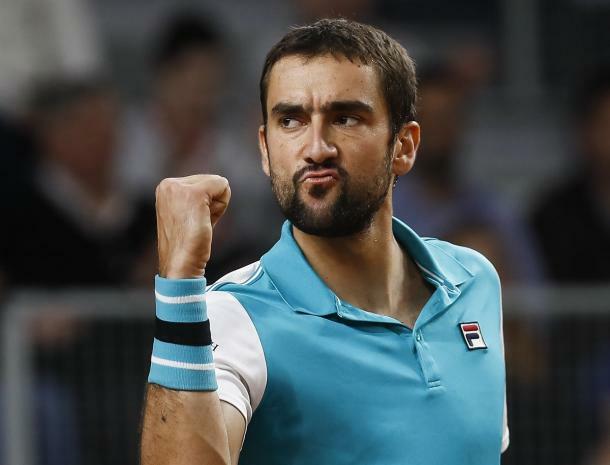 Croatia rode their top man, world number three Marin Cilic, who lost only eight games in two singles victories, including a tie-clinching 6-1, 6-1, 6-1 win over Kazakhstan number one Mikhail Kukushkin in the fourth rubber. Croatia also won the doubles to take the tie 3-1. Because Davis Cup points do not take effect until the end of the season, there were no changes in either the rankings or the Race to London this week. The clay court season gets underway this week with two titles up for grabs, both at the 250 level. The tour’s lone event on the continent of Africa will take place this week as the tour heads to Marrakech for the Grand Prix Hassan II. The tournament has struggled a bit to attract top stars, with the two biggest names initially entered, defending champion Borna Coric and the super-popular Gael Monfils, both withdrawing prior to the tournament. There are several big names in action this week. Last year’s Monte Carlo Masters runner-up Albert Ramos-Vinolas is the top seed, followed by Australian Open runner-up Kyle Edmund, who is looking to turn his season around having not won a match since Melbourne. They are joined by last year’s runner-up Philipp Kohlschreiber. The third seed in 2018 failed to convert five match points in last year’s final again Coric. The only former champion in the draw is 2011-2012 winner Pablo Andujar, who is entering the draw using a protected ranking. Richard Gasquet, Robin Haase, Benoit Paire, Alexandr Dolgopolov, and Mischa Zverev round out the seeds. The home boys will be looking to claim their nation’s biggest clay court crown as the US Men’s Clay Court Championship features a singles draw with more than 50 percent Americans. 15 of the 28 spots in the draw are held by the host nation, including six seeds. 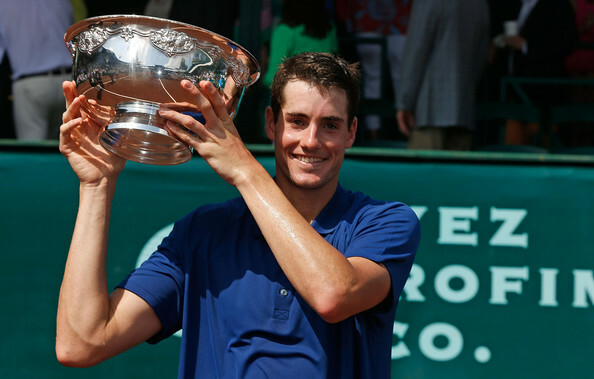 All the top Americans will be in action, led by recent Miami Open champion John Isner. The 2013 champion is the top seed, followed by Sam Querrey and 2015 champion Jack Sock. Defending champion Steve Johnson will be looking to defend his crown as the sixth seed. He is followed by seventh seed Ryan Harrison and eighth seed Tennys Sandgren, who is still looking to back up his quarterfinal run at the Australian Open. Breaking up the American dominance of the seedings are fourth seed Nick Kyrgios, and 2014 champion Fernando Verdasco, seeded fifth. Young guns Taylor Fritz and Frances Tiafoe also feature in the American-heavy draw.